Why does anyone want to shoot a lion? Why? Even if they weren’t endangered (which they are—according to National Geographic, some 200,000 lions roamed across Africa a century ago, compared to 30,000 today) how can anyone stare into the haunting eyes of the king of the jungle and wish to see him dead? Why does anyone want to shoot any species of “trophy” animal? I totally get it if a hunter goes after deer or squirrels or rabbits or game birds. Or even groundhogs and possums, when tastier fare is scarce. If you intend to eat what you kill, and if you’re doing it legally and ethically, go ahead. 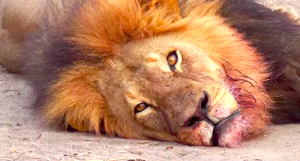 But I don’t believe for a minute that Walter Palmer intended to eat Cecil. Or the elephant he told his guides he’d like to go after once he’d bagged his lion. And I’m at a loss for words in trying to respond to Sabrina Corgatelli, who—in a recent interview on NBC’s “Today” show about hunting big game in South Africa—said “there’s a lot of personal things going on in my life lately that added to the thrill of killing a giraffe.” Except to say wow. Speaking of ethics, how could a hunter with any kind of moral compass watch his guides lash an animal carcass to their jeep to lure a protected lion out of its safe zone and then shoot it? And what’s up with hunting a lion with a bow and arrow? And with not tirelessly tracking the wounded animal once it’s hit? That Cecil was allowed to suffer for forty hours boggles the mind. Speaking of boggling the mind, how did Walter Palmer have the stomach to skin and decapitate Cecil once he finally finished him off? Wouldn’t this “trophy” be a constant reminder of an adventure gone horribly awry? Why does anyone want a taxidermied animal, anyway? When I was a child, a friend’s father had the head of an eight-point buck mounted above his fireplace. Every Christmas, he stuck a red rubber ball on the buck’s nose and laughingly called him Rudolph. I’ve been creeped out by dead animal on walls ever since. How many cavities does a dentist have to fill to be able to afford a $50,000 hunting trip to Africa? 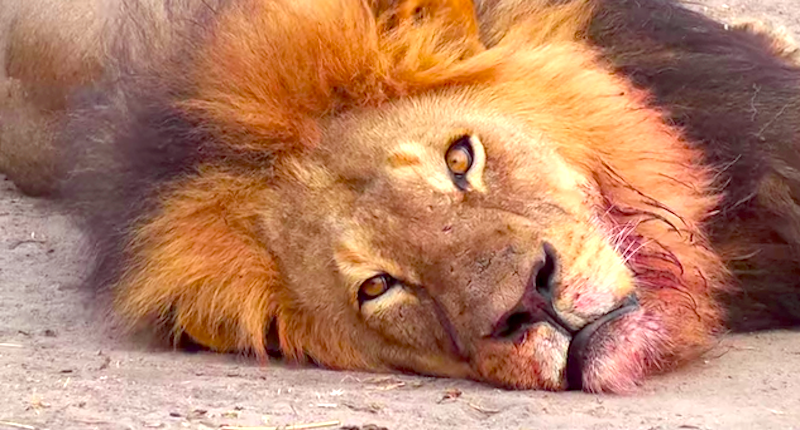 Where is Walter Palmer hiding? Will it take as long to root him out as it did Osama Bin Laden? Last but not least, how come some people think it’s okay to accuse those of us who are distraught over Cecil of not caring about human suffering? It’s possible to be outraged about war and pestilence and disease and hunger and child abuse and all the other horrible stuff that goes on in this world and still be saddened over the “taking” of a tame lion. Really it is. All I can say is people are very ignorant. People don’t think about how, not only a beautiful animal could end up extinct, but how once these animals begin to never eliminated… other things will start to be affected in a major way.